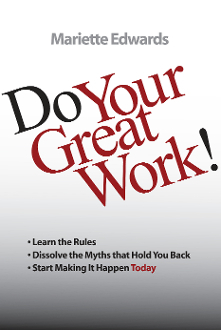 Do Your Great Work! - eBook for iPad/iPhone, Nook, etc. Is it time to go your own way? But it does require that you take action. This book will show you how to get started. turn my desire into results over and over again. Watch the video book trailer! Click here.